This has been at a local antique dealer for close on a year. I finally gave in, and she reduced the non-negotiable price. I guess we are both happy.. So, it is the display part of some sort of early 'betting' game. There are 4 lights, numbered 1-4, a big solenoid which rotates a drum showing various 'odds'. 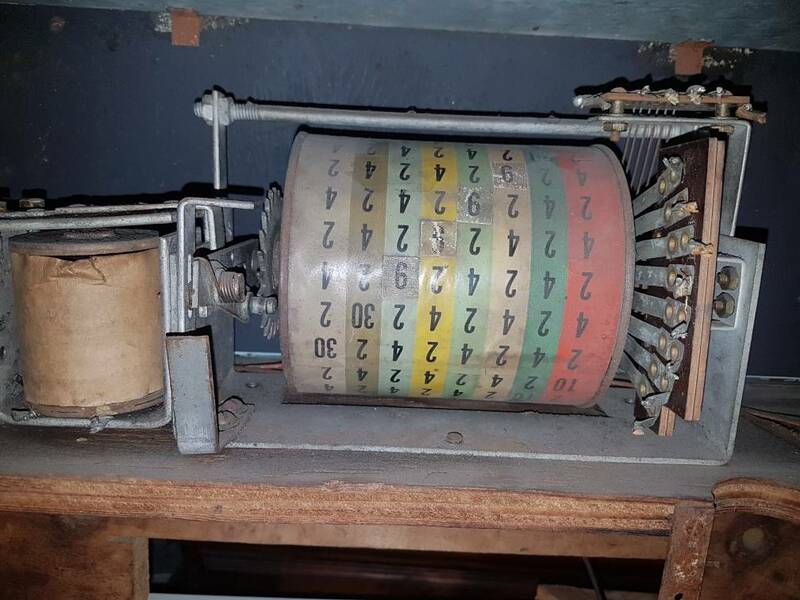 The drum appears to have a number of connections - not that dissimilar to an 'enigma' style encoding drum. My plan is to make it 'function' in some way.. This is the back showing the drum and the solenoid. Very intriguing! 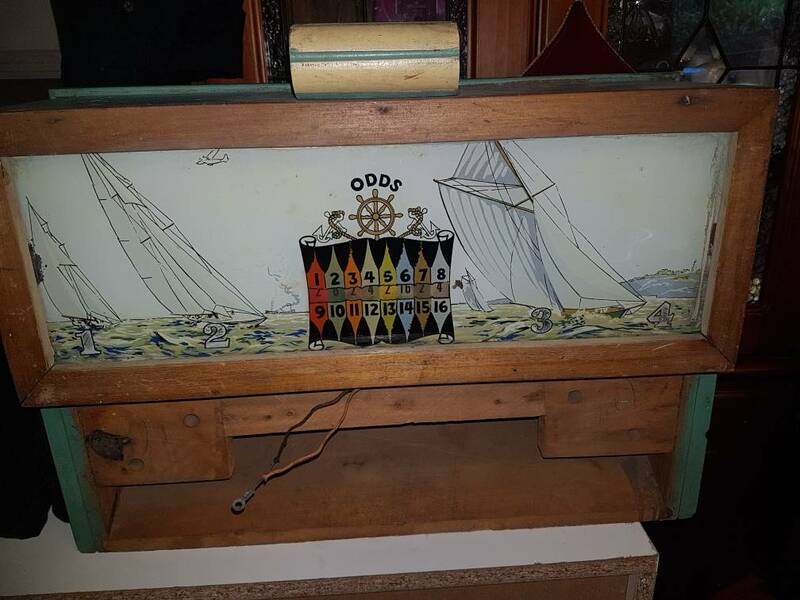 Maybe a sailboat race of some kind where you move pieces around a board according to the numbers? Not sure how odds work in though. Maybe it was just a betting odds tally for a real sailing race? I wonder if Chris (Raynerd) could help. He once made a very cool arcade game. ps, looking at the style of the airplane and boats, I'm going to guess '30s era. There's also a horse racing version according to the seller. I just can't fathom the columns numbered 1-16 around the 'odds' row. It looks like there are eight electrical contacts, as a guess these went to lights? Half of 16? I'll have to trace the drum wiring to make sense of it.